Among Mercedes tuners Carlsson is a well respected name. They always have a unique elegance in their works. Now the latest release by the company is this pimped outMercedes GL, with improvements on both looks and power. Although that big chrome grille with a prancing horse logo is a bit glitzy, but the muscular bonnet is quit cool! It also has 22 inch rims. 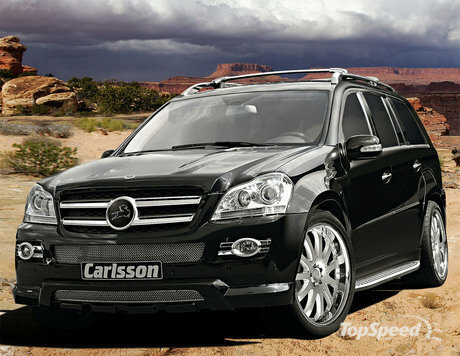 Carlsson offers power packages for GL500 petrol, GL420 and GL 320 diesel engines. The improvement on the 500 engine results in a healty 435 hp and 600 nm of torque, while the 420 CDI has got up to 354 hp and GL320 to 224 hp. Also the torque has gone up from 510 to 612 Newton metres. The Mercedes-Benz GL (Type X 164) is the model with the most opulent dimensions within the entire Mercedes motorcar product line. With the new RS-Kit, the automobile manufacturer Carlsson now gives the GL a sporty look and at the same time, a powerful appearance. The newly designed front marks the most significant change. The front spoiler lip lowers the GL visually closer to the road. Therefore, the RS-Kit provides the large Benz with a dynamic character. While the large radiator grill and the two bonnet attachments emphasise the dominant look of the GL. At the same time, the grill inserts made of electro-polished stainless steel radiate elegance. Carlsson adds these inserts to the front skirt, the front spoiler lip, the side skirts, the bonnet and the radiator grill. Carlsson, the Mercedes refiner from Merzig/Germany also modifies the lights of the car. The headlight inserts and the additional headlights significantly contribute to the new facial expression of the GL. The LED daytime running lights in the front spoiler lip complete the new light unit. At night time, they can also be used as position lamps. The new side ledges give the powerful car sides a considerably more sporty touch; this impression is additionally accentuated with thegrill inserts made of electro-polished stainless steel. The rear is dominated by a new rear skirt attachment which holds the two oval stainless steel pipes of the sport sub-muffler. 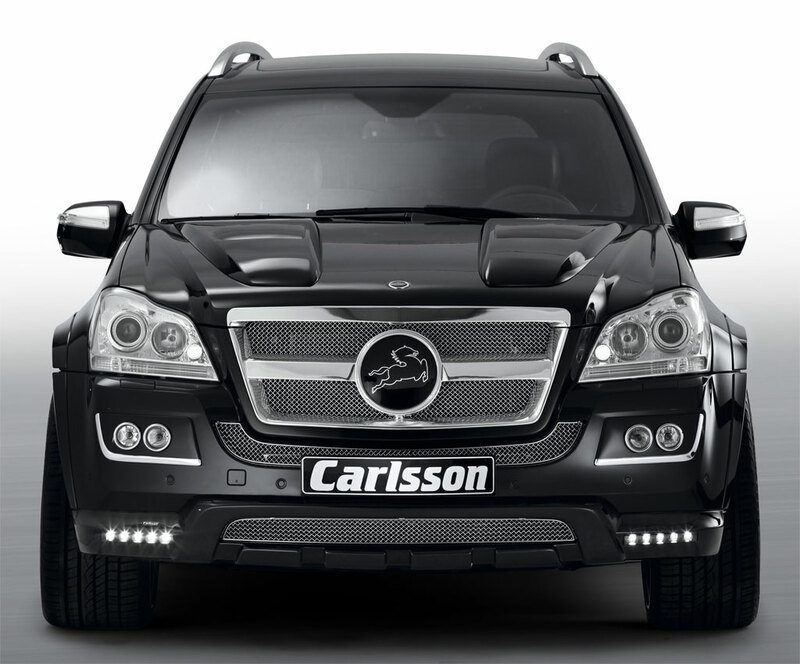 Carlsson offers the entire GL aerodynamics kit for 10,119 EUR including VAT.